– Showcasing our expertise in building large-scale and value-oriented real estate. We proudly introduce our latest project. – Clearly making it’s mark at the country’s most promising real estate location – Bonifacio Global City. In today’s economic landscape, properties can prove to be a very reliable investment tool not only by shielding your money from inflation but also by providing income and appreciation in value over time. – Megaworld Corporation once again provides a winning formula by combining a solid reputation, an excellent location and first-class developments with its newest community- BONIFACIO UPTOWN. – As the country’s no.1 residential condominium developer today. 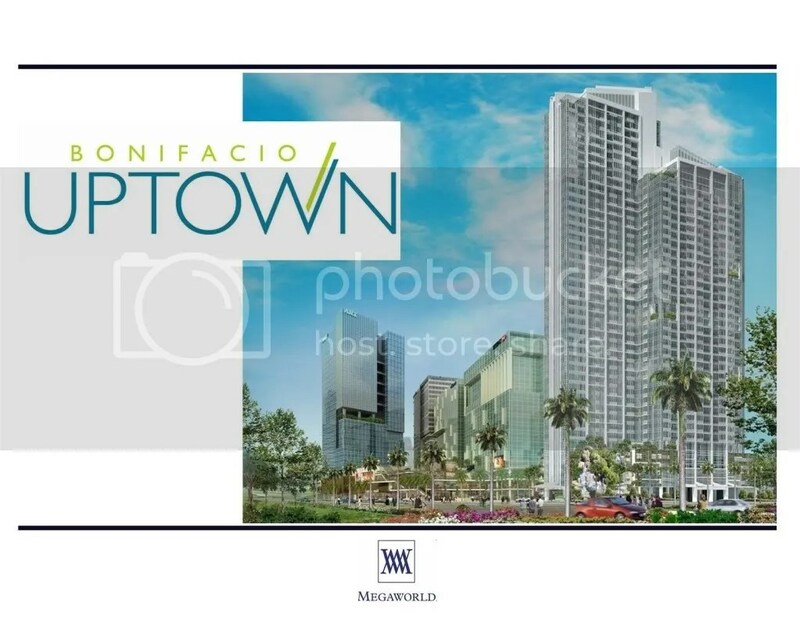 We captured once again an opportunity to evolve a piece of land just like we did in Eastwood City, Forbes Town Center, McKinley Hill, Newport City / Resorts World-Manila and CityPlace China Town , into another promising place – BONIFACIO UPTOWN, located in North Bonifacio in Global City. – It is a 15-hectare mixed-use development that will have our famous philosophy of building township communities of live-work-play-learn concept: modifying the place into a self-sustaining community that integrates residential, offices, commercial and learning institutions development that ultimately define today’s vibrant lifestyle. -BONIFACIO UPTOWN is steps away from the prestigious international schools of the country (International School of Manila, British School Manila & Manila Japanese School), it is also near the Lexus Showroom, St. Luke’s Medical Center: Global City, S&R: Fort Bonifacio and upcoming Grand Hyatt Hotel Manila. – Being in the future Central Business District: Bonifacio Global City, it is connected with major thoroughfares leading to Makati, Ortigas and the rest of Metropolis via Kalayaan Road, EDSA-Kalayaan-Buendia Flyover, Bonifacio Drive and C5 road. – ONE UPTOWN RESIDENCE, a 45-story residential condominium project that will define the new generation projects of Megaworld Corporation. – This landmark project is located in the main entry point of Bonifacio Uptown – in Bonifacio Drive located near the Lexus showroom and in the upcoming 6-star hotel: Grand Hyatt Manila. 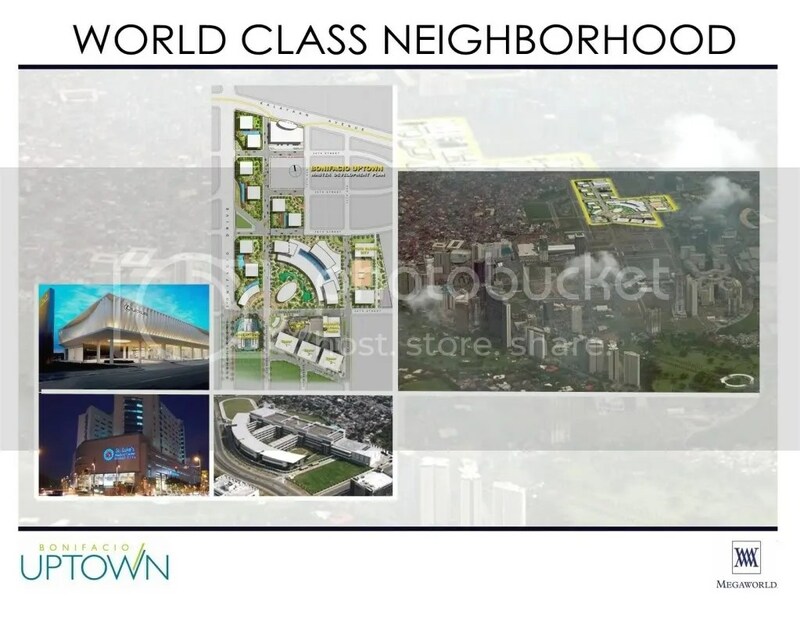 – It will be interconnected to the upcoming upscale mall – UPTOWN PLACE opening on 2013. FULL-PACKED AMENITIES. UNIQUE BUILDING FEATURES. 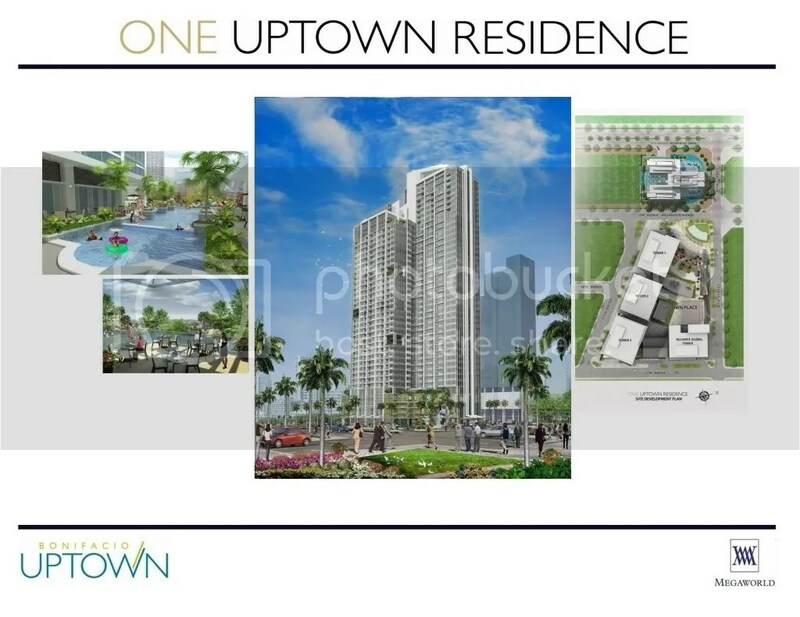 – ONE UPTOWN RESIDENCE will feature a never-before-seen amenities from our previous developments. – This project will feature top-of-the-line studio, executive studio, 1-bedroom, 2-bedroom, 3-bedroom units with floor-to-ceiling glass windows and balcony for selected 1-bedroom units, 2-bedroom and 3-bedroom units. 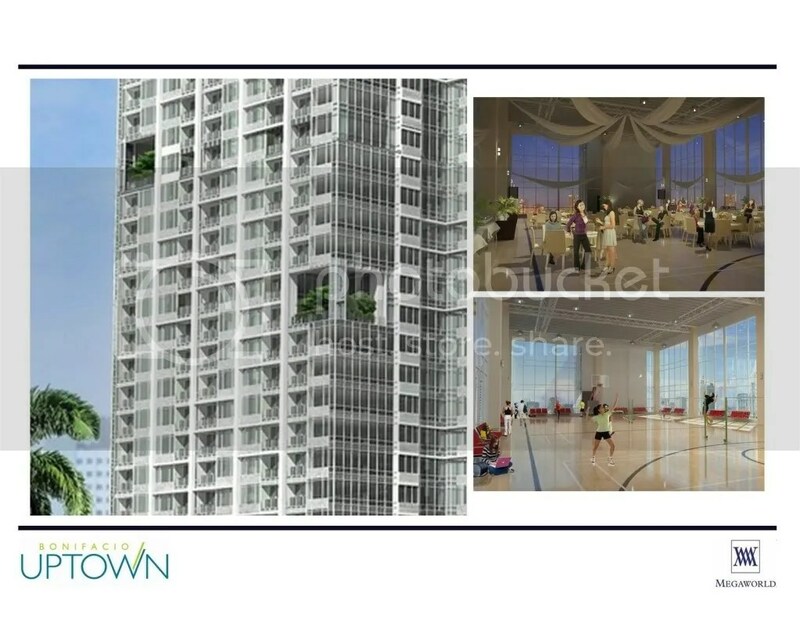 – Our Penthouse units (2) will feature Fort Bonifacio’s FIRST and ONLY Sky Garden at around 71-77 sq.m. Perfect for a great weekend and view of emerging Metro Manila Cityscape. Pls email me a sample floor plan of your unit in the 21st floor facing global city? Thanks. 1 or 2 BR units.